For the longest time, I've had difficulty explaining the public relations industry to friends and family members. That would be a NO to all of those. A recent article on PR Daily got me thinking that there must be an easier way to explain my job. The kind of public relations we practice at Furia Rubel is business to business, aka B2B. You know how movie stars and professional athletes have publicists? We are like that, but we’re publicists for businesses. We don’t represent individuals and we certainly don’t go to movie premieres – though we would be happy to accompany Bradley Cooper on the red carpet any time. We don’t represent just any business, however. We further refine our particular area of practice to professional services. Our clients include law firms, legal service organizations, accountants and tax providers, financial institutions, and more. 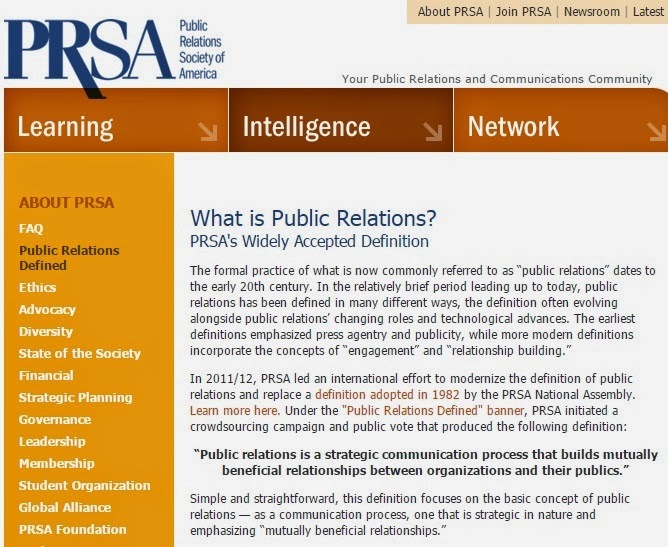 In today’s world, public relations can encompass many tactics. One of the tried and true mainstays is media relations. We have offered our clients as experts for print articles, radio features, television interviews and other forms of media. We work with journalists to provide appropriate sources for their stories. We bridge the gap between the journalists and our clients, working to coordinate interviews, photo opportunities and commentary on issues of the day. To work well and benefit everyone, this requires long-standing relationships with the media and a detailed understanding of how they work. We believe in the power of targeted public relations. Blasting out a press release on a distribution platform to hundreds of journalists across the country will do nothing but anger and alienate the journalists for whom that topic is inappropriate. Instead, we work with our clients to analyze their business and define their target audience, then do research to determine what media that audience commonly consumes. We compile very targeted and specific media contact databases for each client, tailored to reach the audiences that are most important to their bottom line. We also work with publications to coordinate article submissions from our clients, when the client has expertise that would be valuable to that publication’s audience. Not only do we keep our clients in the public eye, we also do our best to keep them out of it in times of crisis. When something goes wrong - or has the possibility of going wrong, if not handled correctly - we are the folks working behind the scenes to make sure our clients quickly and accurately respond to the situation to minimize harm and begin rebuilding as soon as possible. We may not have the simplest job description in the world, and what we do can change by the hour or minute, but any way you look at it, public relations professionals get to share their clients’ interesting stories with the world. That has to be the best part of our job! This is the first installment of a three-part series of posts explaining the art of public relations. In my next post, I will address media monitoring and reporting services.